Are you hunting Yeti for business or pleasure? Do you have any Chupacabra or Sloth Monsters to declare? Have you accepted any gifts from Swamp Dinosaurs, Bat Demons or Devil Worms while traveling? The questions Josh Gates encounters when flying across the world for fun and adventure are slightly more exciting than what the rest of us have to answer at the airport. Still, even though the third season of his hour-long show Destination Truth premieres Wednesday, Sept. 9 on the Syfy Channel, the gig of monster-hunting host hasn’t become mundane. Since June 2007, Gates has traveled to remote, off-the-grid locales with a small crew to investigate claims of encounters with beasts that could take a bite out of Bigfoot and Nessie. As if that wasn’t enough, his repertoire has recently extended to exploring curses and ghosts – and his adventures with the unknown all occur after he deals with known dangers. But Gates is an affable guy who, at 32 years-old, sports a professorial-meets-adventurer look. 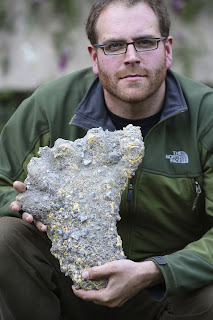 Not completely unlike another such explorer who favors a whip and fedora, Josh Gates has learned to take life-threatening work environments in stride. “There are two different types of scary occurrences on the show,” says Gates. “There’s the scary occurrence where you’re looking for whatever creature or phenomena that you’re looking for where you think, ‘wait a minute, maybe this thing is here.’ And then there’s the scary occurrence when you’re doing something that’s sort of physically perilous. 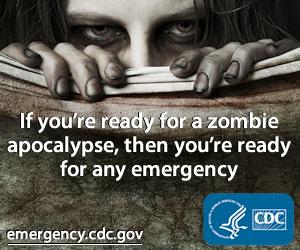 But Gates acknowledges that sometimes “scary stuff happens,” and when it does, it’s pretty mind-blowing. During the second season, Gates was in the Himalayan Mountains in Nepal on the trail of the “Abominable Snowman,” aka the Yeti, when he found a rather large set of three footprints. The sets were considered legitimate and non-human by Bigfoot expert Jeffrey Meldrum of Idaho State University. The find was an exciting one for Gates and he’ll be heading back to Nepal to continue the search in the third season. He also describes a fairly freaky experience that happens to a crew member in “Haunted Forest” in the season’s first show. The footage of the event even leads Gates to paying a visit to Jason Hawes and Grant Wilson, hosts of another Syfy paranormal investigative show, Ghost Hunters. Gates asking the duo for some spiritual guidance on the ghostly forest incident is yet another installment of what he calls the “the Flintstones meets the Jetsons routine” on the similar shows. Gates, who has previously hosted two live Halloween shows for the Ghost Hunters, and is appearing on their show on Wednesday as a lead-in to the Destination Truth premiere, hints there are more crossovers to come. However, Gates stresses that his show complements the “Ghost Hunters” but he wouldn’t want to duplicate them. That something different is the show’s heartbeat as a globetrotting adventure program. Monsters aside, Destination Truth is a travel show with a comedic element and a “If it can go wrong, it usually does” attitude. “We really try to blend into every episode some interesting and really comedic travel up at the top of each show. So you'll see a taste of the cities and the people and the culture and the food of the places we go. Then we clearly, on the show, are kind of going off the beaten path to look for these creatures or to experience these phenomena. But it’s his well-worn passport, not movie pedigree, which landed Gates the job. An accomplished traveler, he is a SCUBA diver with a degree in archaeology (and drama) from Boston’s Tufts University, and was just getting back from a trip to Africa when he met to discuss the show. Gates’ sense of adventure and wanderlust comes honestly, he says. His father, a commercial diver, was always coming back from someplace exotic with gifts from the other side of the world. Add to that the fact Gates was “fixated on Indiana Jones” and you have a natural explorer with a dream job. But Gates’ tenure as a creature seeker hasn’t been without grief from a very visible, if unwieldy beast, the Internet. A handful of forums and bloggers have accused the show of being culturally insensitive or condescending to the villagers and locals from remote areas featured weekly on the show. However, Gates dismisses the accusations. As for this season, Gates is heading to the ruins of Chernobyl in the Ukraine for an investigation, as well as conducting the show’s first United States investigations in Alaska and Florida. Destination Truth will also have an episode set in King Tut’s tomb in the Valley of the Kings in Egypt – which is the world’s first overnight paranormal investigation of the tomb. 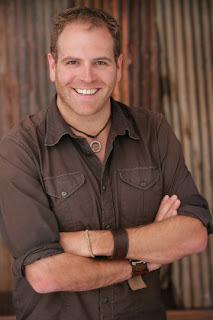 Regarding future investigations, Josh Gates says he always “has a whole list cooking” for Destination Truth. “I'm really kind of intrigued by a lot of these small Pacific island nations,” says Gates. “From Polynesian curses to cursed or haunted islands, there’s shipwrecks, there’s all sorts of amazing things that are floating out there in the middle of nowhere … Maybe we [can] do a season where we take the show on a boat and we go around the Pacific or something.